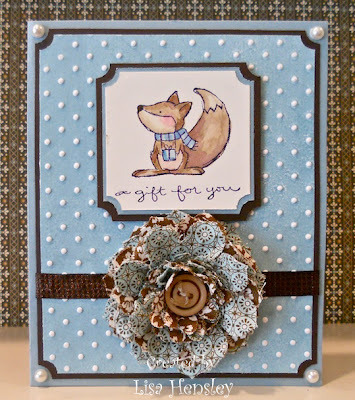 The Shabby Stamper: A Gift for You! I made this as a birthday card for a friend of my daughters'. This little squirrel does duty just as well as a birthday squirrel as he does as a holiday squirrel! This was my first attempt at a die-cut fabric flower and I think that it turned out pretty well. 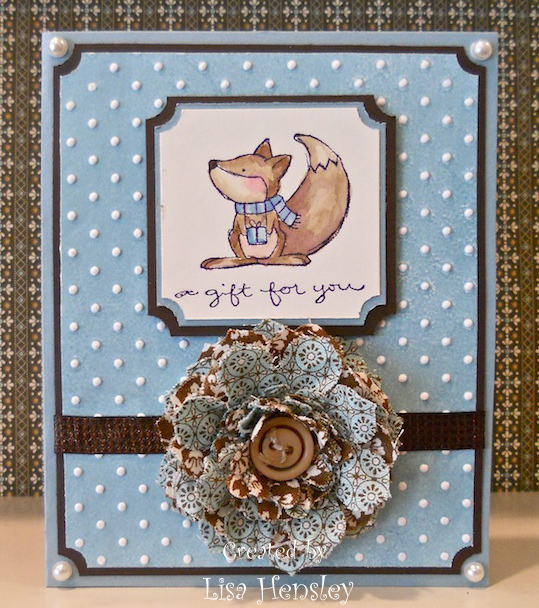 The background was color embossed with Baja Breeze on Vanilla cardstock. So cute! Love that big flower! !